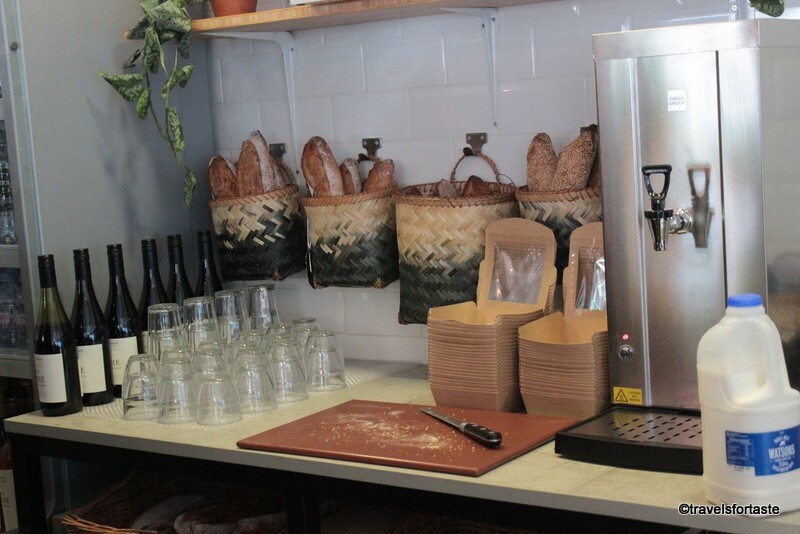 The new artisan bakery where Bánh Mì meets Boulangerie called MoBa opened it’s doors to the public on Monday at Goodge street in London. The Paris born founding duo – Thibaut and Theodore, met while studying Hotel Management in Switzerland and then kept in touch even when their careers took to various locations across the world. 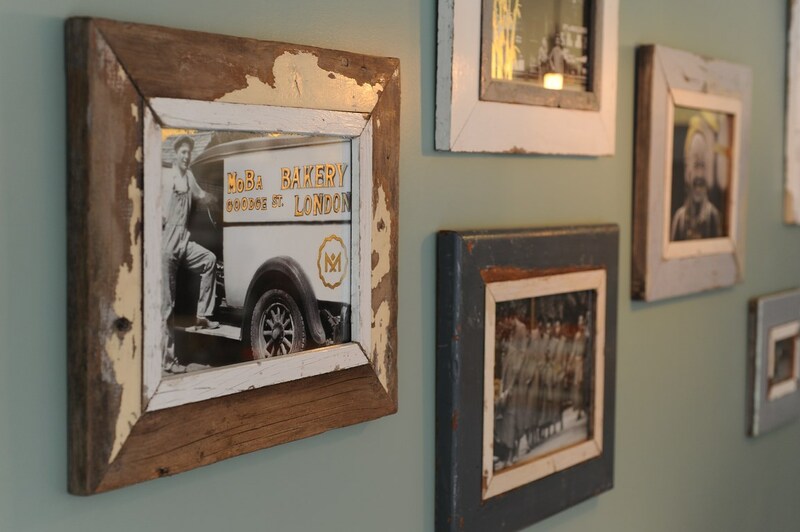 They recently moved to London with the aim of bringing a new concept of dining to London. Though they are still in their early 20’s this duo has gained lots of experience between the two of them and have been exposed to various culinary influences. 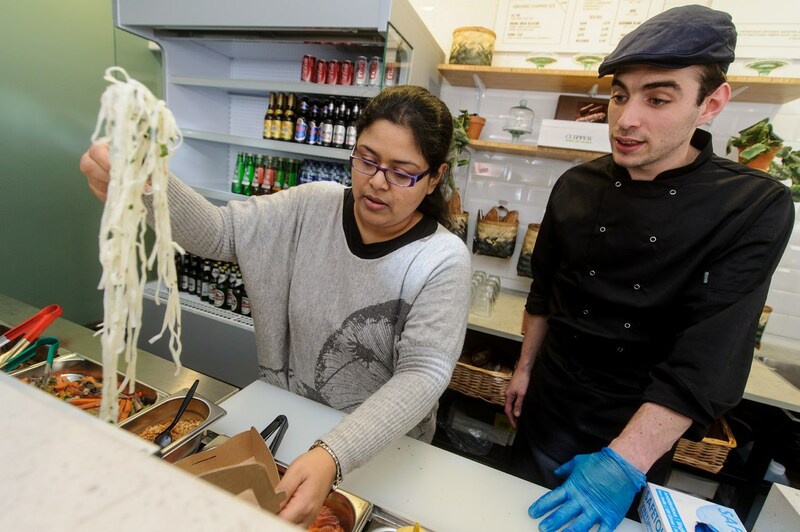 With a bold and fabulous new fusion menu this new casual dining spot promises to serve up interesting food, which like their lovely window display will change with the seasons. 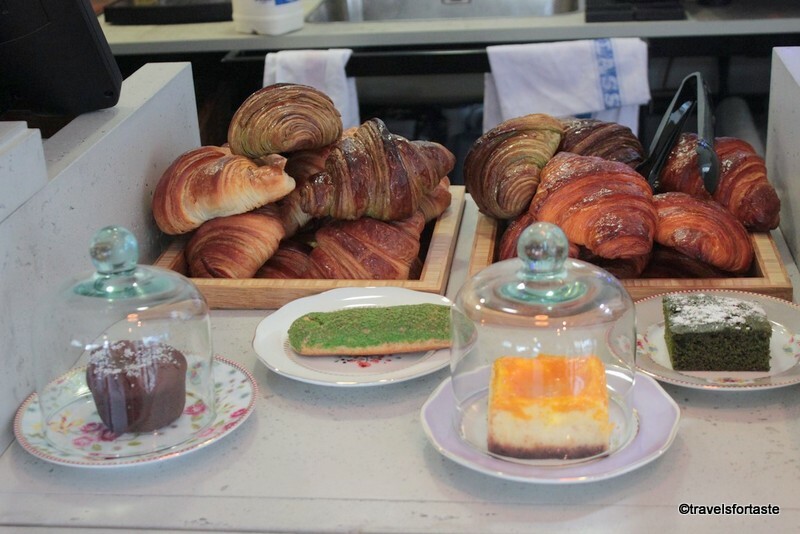 ‘MoBa’ an acronym for Modern Bakery aims to combine traditional French cooking with fresh and simple flavours from Asia – a culmination of friendship, passion for creativity and of course a shared love of good food. 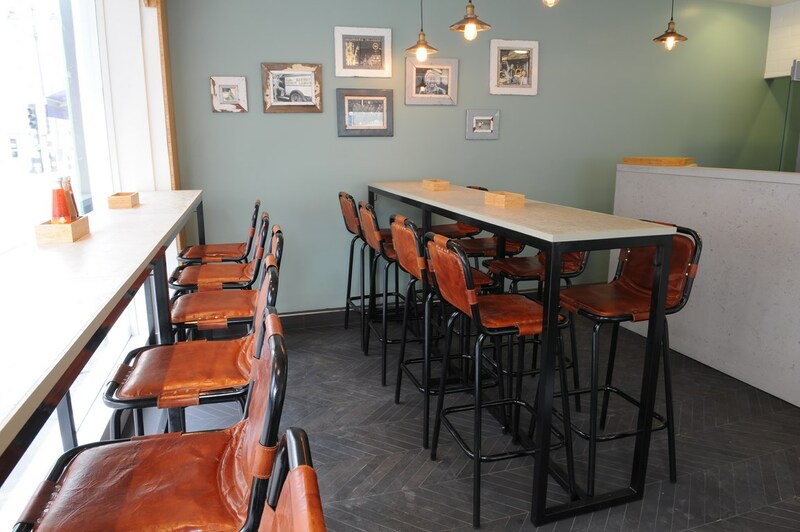 The interiors are cool and fresh, the minimalist look adds a soothing touch while the sleek leather lined stools give it just the right edge. I also got a feel of a bit of behind the scene the counter action – a masterclass of sorts. Thibaut Voury, one of the founders , who was managing the kitchen showed me how to make my own Bánh Mì. 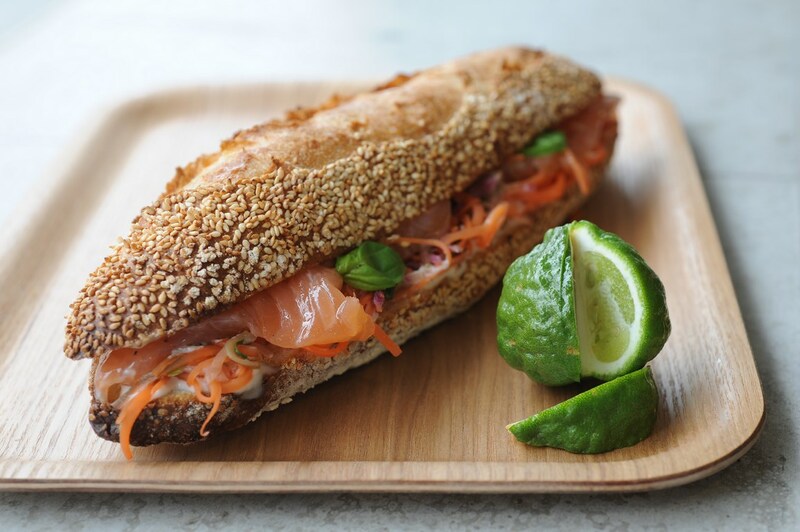 Because I wasn’t too keen on a heavy lunch, the naked Bánh Mì sounded good and Theodore Charoy the other founder suggested that I choose ‘Tokyo’ because of the fabulous flavours of the Salmon gravlax. He was right! I absolutely loved this mix of seasonal veg wok, Japanese lime and garlic cream served on a bed of noodles. 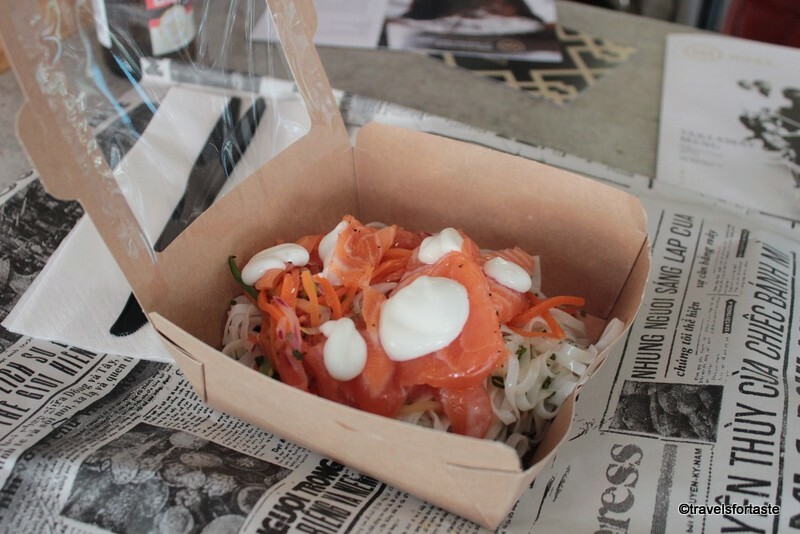 Not only is it light and fresh it is still full of wonderful Asian flavours. 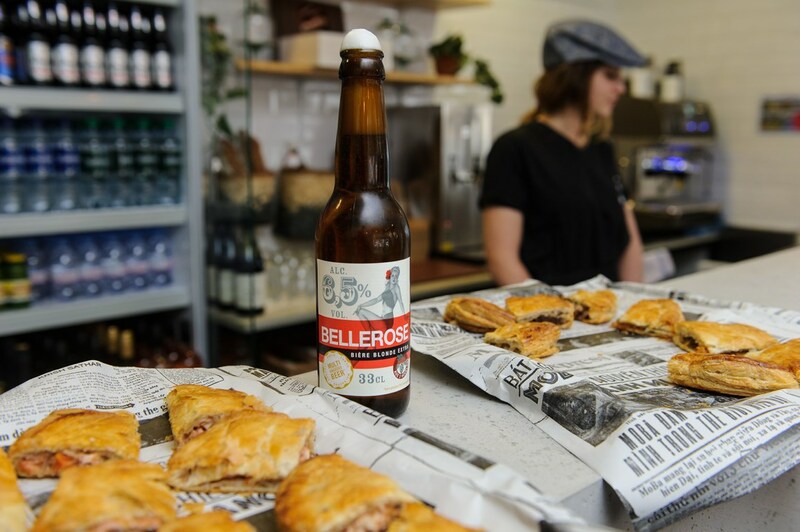 I resisted having any beer but they have my favourite Asian beer – Asahi, while the other bloggers loved Bellerose – a blonde beer from Northern France. I also learnt that the word Bánh Mì was born out of a misspelling for ”pain de mie” which simply means ‘sliced bread’. 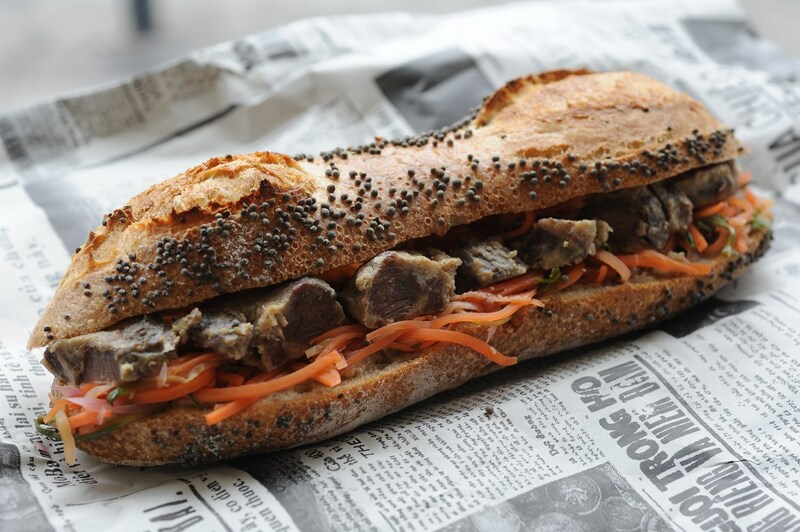 This sandwich dated back to the time when French colonised Indochina, a perfect example of a fusion born out of the meeting of two very different culinary worlds. The other bloggers choose the Toulouse (£7.20) which as they described as a fabulous combination of spicy mango sauce and duck confit in a traditional baguette stuffed with seasonal veg wok. It was massive and looked very delicious , I do hope to go back soon for this one. Apart from the fusion menu, the Boulangerie also stocks beautiful breads and some baguettes with unusual combinations like the soya-ginger baguette which I got to take home in goody bag. 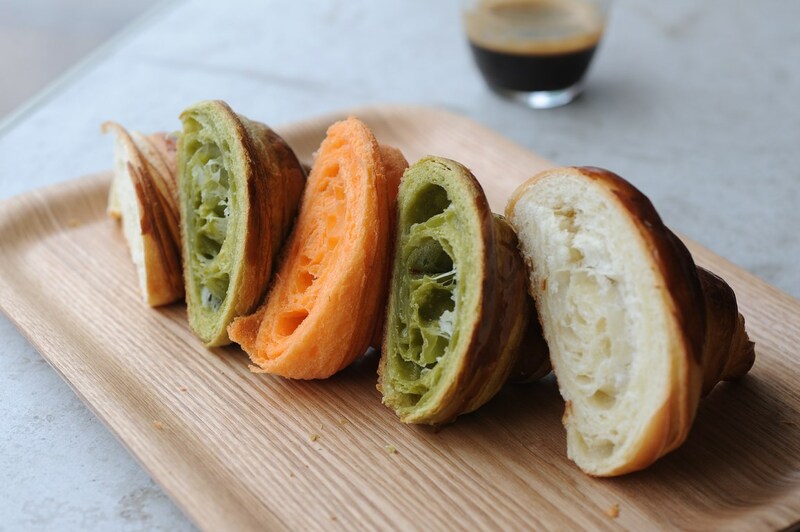 I was greedily eyeing the green tea croissant while photographing the place and the mango croissant looked so tempting with the beautiful glaze over it – wow – almost irresistible! Ever since I started having my matcha green tea everyday I am totally addicted to the taste of green tea and the match green tea brownies were my absolute favourite from the sweet treats we were given to sample. 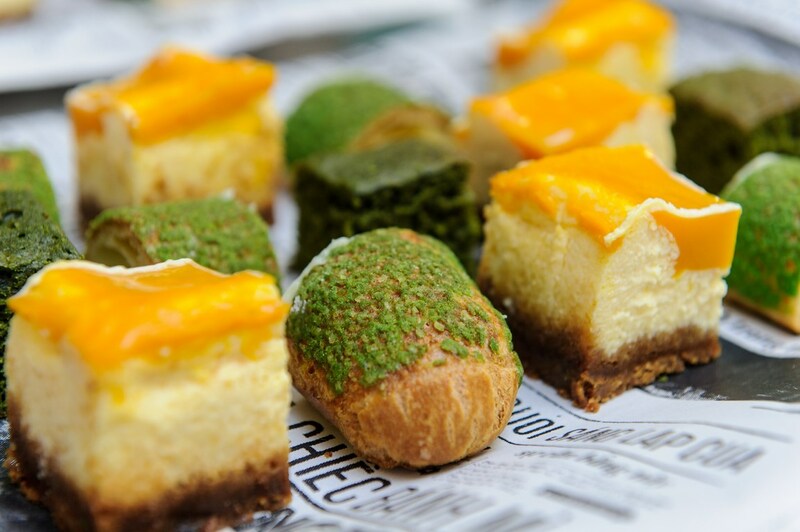 Of course the fusion of flavours spills over into the dessert menu too then and the exotic sounding Zen Lightning Éclair packs a punch with a strong tangy flavour while the Speculoos Mango Cheesecake is delicious too and a perfect companion with a steaming hot latte. What I loved most is that the dessert tray came lined with the MoBa ‘newspaper’ – hot off the press! 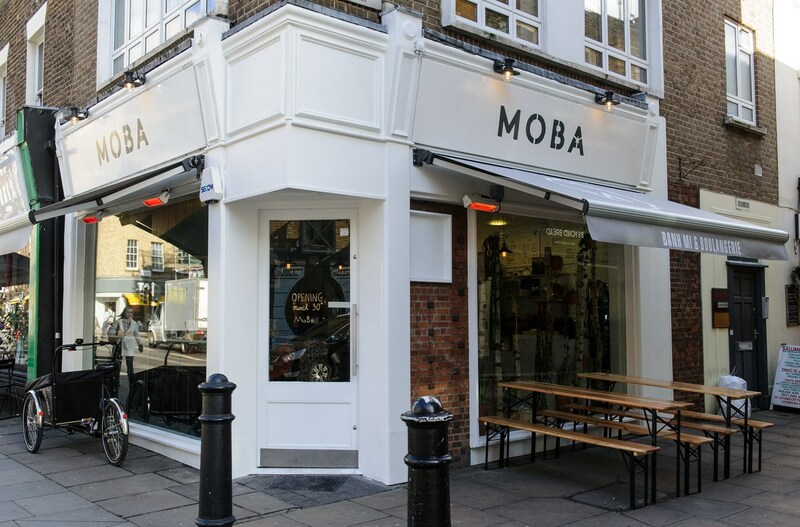 MoBa is conveniently located a short walk from Goodge Street tube station and is a fabulous lunch option for lunch go-ers and would make for a great place for a casual catch up over dinner with friends too. Don’t know about you but I think MoBa is going to kick off a new trend in London with their fusion menu! *With thanks to the PR Agency and MoBa for the invite. 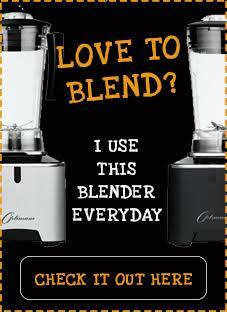 No monetary compensation was offered for a positive review. All opinions expressed here are entirely my own.All images without my watermark for ‘travelsfortaste’ are provided by the PR Agency. Kindly do not re-produce any images without prior permission.